I just discovered this new Indiegogo campaign. A portable, lightweight wearable that delivers an incredible visual experience for entertainment. 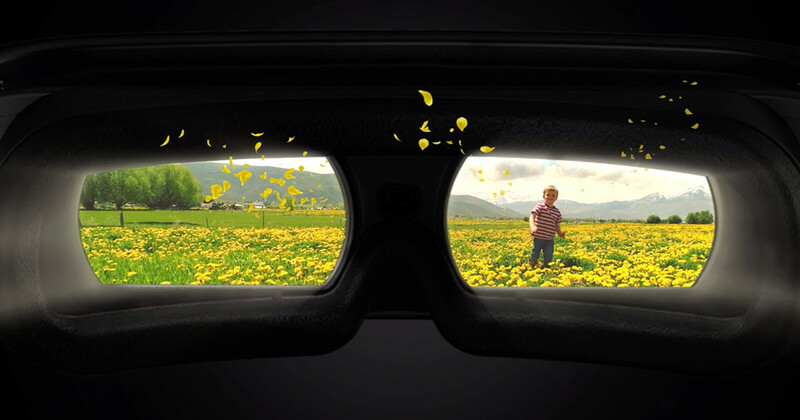 | Check out 'LUCI immers, immersion-on-demand visual experience' on Indiegogo. For now the first perk to get one is at 499$ with a delivery in August 2019. Awesome though they’ll have to be careful of those who don’t understand aspect ratio aa this is 4k at 32:9 by the looks of it. The 1080 though could see being a downside to visual clarity. But as a wearable might be okay for movies. I was looking at this too, but because it’s not a true VR headset, it doesn’t support social apps like Big Screen, which is going to be essential for emulating a true movie going experience. I’m guessing this is like an 80 degree FOV with 3840x1080. If it plugs into PC, and you can use the head tracker, it might be cool if you could use it with Steam VR. I had a Sony HMZ T1 and it was great for movies, it was just insanely uncomfortable. $500 is a bit steep for micro OLED at about 80 degrees of FOV, but not bad. Going by KS prices here Retail price around 5k+ headset only or a touch more Expensive. I would almost recommend that Pimax look at acquiring these guys, if they could afford a deal.